This post is coming 4 days into our trip, but there just hasn’t been time! So a bit of catching up to do! The first leg of our trip to Oslo went very smoothly. It is impossible to fly directly to Estonia, so you must make a connection in Europe. Used to be that only meant Helsinki or Stockholm, but now you can catch a connection nearly anywhere in Europe. We chose Oslo this time for the reason that my Estonian cousin (my cousins’s daughter – so that makes her once removed?) is working for an American company in Oslo and living with her Norewgian boyfriend she met in South Africa! How’s that for international! We found a reasonably priced flight that allowed us to stay overnight and leave Friday night for Estonia. 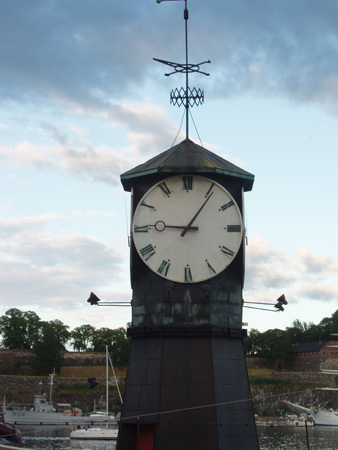 Fortunately the weather cooperated and we toured Oslo a bit for a day and a half. 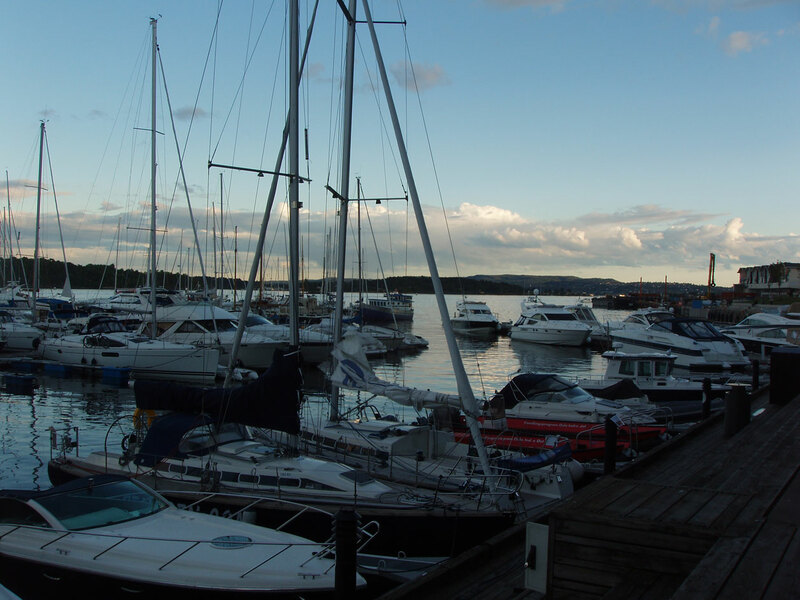 Oslo is right on the Baltic Sea and has a beautiful harbor. As I have mentioned this is the land of the midnight sun! Here is a clock to prove it – 9:00 and no hint of sunset! On Friday, we took a boat ride to an island right off the mainland where there were several museums. We went to the Viking Ship museum. 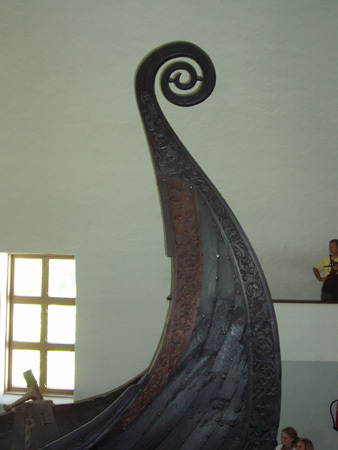 On display were 3 viking ships that were discovered in the late 1800’s. They had been buried in the 800’s along with high ranking officials. Similar to the Egyptians, the Vikings must have believed in an afterlife and buried their dead along with food and tools. 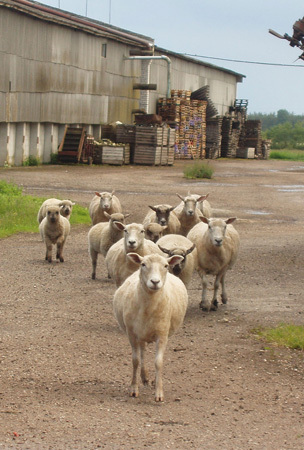 Also of interest to me was the fact that only the wool and silk weavings remained somewhat intact but not the linen. They were small fragments but amazing nonetheless for their intricacy. Before we left the harbor area on Friday, we bought some freshly caught and cooked prawns off a boat. Evidently that is one of the first signs of Norwegian summer. As a send off, we enjoyed a dinner of fresh Norwegian prawns and salmon. Yum! We arrived just before midnight at the Estonian airport in the capital city of Tallinn. I think we literally closed the airport, being the last people off the plane. Even the passport control agents were so eager to go home that they met us at the plane. When I couldn’t find our passports fast enough, they waved us along. Saturday was our day of rest. It is a sure sign that we have visited often enough now, that we are not barraged by countless receptions upon arrival by my many relatives. Each time I come it feels more and more like coming home to visit with relatives that I just haven’t seen in a while rather than meeting people who are more like related strangers. Estonia has caught up quickly with the west in the past 18 years and so the cultural and economic differences between us are also not so great. For example, I am writing this from the 100 year old farmhouse that survived with the family through Soviet occupation and am connected to the internet via a wireless router. On my first visit here in 1994, there was barely indoor plumbing! Amazing!